Google has released a beta version of Chrome for iOS, which as expected, isn’t available as usual from the App Store. 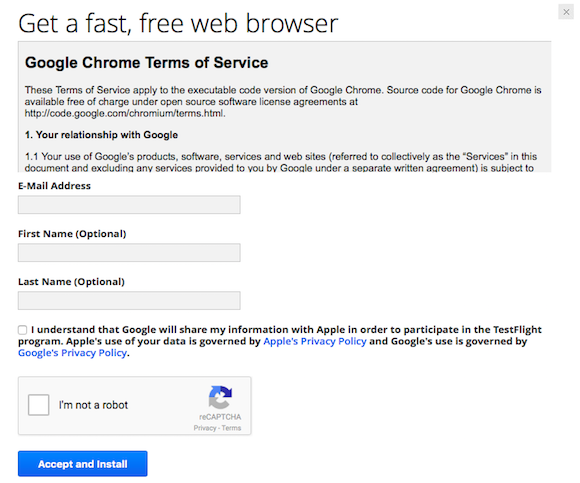 It’s available from Apple’s TestFlight app and here we take a closer look at what is being offered with the first beta build of Chrome and how you can get your hands on it today. 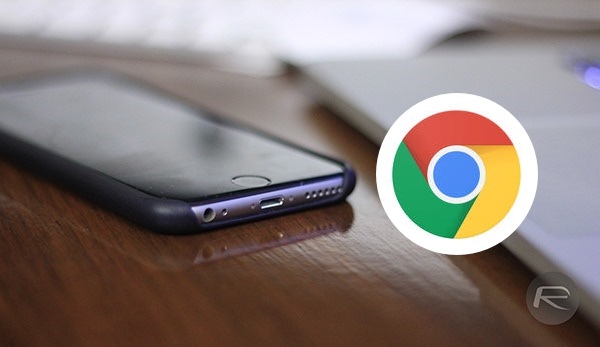 In this first experimental build 47.0.2526.53 of Chrome for iOS, Google has added support for 3D Touch in iPhone 6s and 6s Plus as well as more shortcuts support from connected Bluetooth keyboards. The new version adds support for more Bluetooth keyboard shortcuts (open/close/change tabs and voice search) and adds 3D touch support on iPhone 6s and iPhone 6s Plus (force touch the Chrome icon to open a new tab, a new incognito tab or start a voice search). Since the Chrome beta has been pushed via the TestFlight app, getting your hands on it isn’t as simple as tapping the install or Get button. Those interested in getting their hands on this beta build will have to sign up and register their interest with Google first. It is important to note here that Apple’s TestFlight limits testing of a beta app on iOS to 2000 users, which means you will need to hurry up if you want to make the cut for testing beta versions of Chrome on iOS. Assuming that you already have the TestFlight app installed on your device from the App Store, simply point your web browser to this Google page and click the iOS link under the Download Chrome button. Now fill up the registration form with your email address, and other details. Once the form is submitted, an email will be sent to you on your entered email address. That email may take a while to arrive so be patient while Google registers your request. 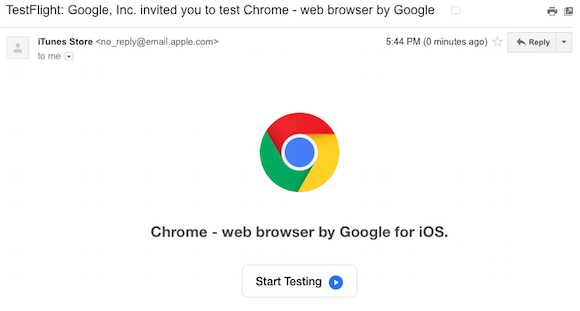 The email, when received, will first ask you to confirm your email address, and once you do that, you should get another email containing a redeem code for testing Chrome beta. When you have got the second email with redeemable code, simply launch the TestFlight app on your iPhone or iPad and enter in the redeem code that Google emailed you. Voila! 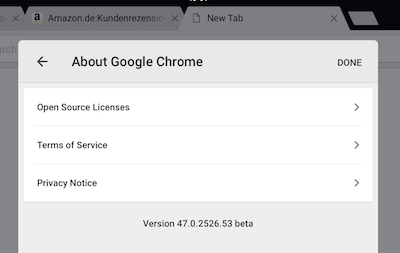 You are now ready to download Chrome beta for iOS. Damn, Redmond Pie. This news was published on The Verge two days ago. You’re late, and that 2000-user limit has most likely been reached. Scrooge gets shittier by the day, in footsteps of monkeysoft.